Sept. 28 (UPI) — President Donald Trump has said he’s unhappy about Health Secretary Tom Price’s using taxpayer money for private planes for travel. 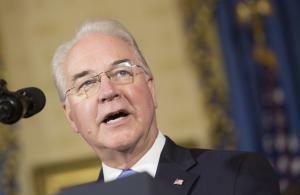 Price, the former Georgia Congressman who leads the Department of Health and Human Services, has been heavily criticized for using public funds to pay for the private flights. At least two dozen trips, for business and personal reasons, have been recorded. “I am not happy about it I’m going to look at it. 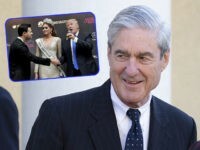 I’m not happy about it and I let him know it,” Trump said Wednesday. Experts say the failure of Congress to pass legislation repealing the Affordable Health Act could also factor into Price’s standing with Trump. In July, Trump joked that Price could be fired if he did not obtain votes necessary for repeal. “He better get them, otherwise I’ll say, ‘Tom, you’re fired,’” Trump said at the time. Five House Democrats urged Price to resign in a letter on Wednesday. “In light of your breach of the public trust, we write to urge you to do the right thing and immediately tender your resignation,” the letter stated. It was authored by Rep. Ruben Gallego , R-Ariz.; Ted Lieu, D-Calif.; Brenda Lawrence, D-Mich.; Jamie Raskin, D-Md., and Pramila Jayapal, D-Wash.
Democrats noted that Price, who has sought budget cuts at the National Institutes of Health and other agencies and has called the Affordable Health Act inefficient and expensive, often travels on private jets with amenities like kitchens and leather seats. House Oversight Committee leaders said Wednesday they would investigate private plane travel by all members of Trump’s cabinet.